A tiny region smack-dab in the Middle East has had a vast impact on the entire world, both historically and right up to the present. Rooted in ancient history, the birthplace of major religions and a thousand sects; a passageway for conquering armies and empires; a pivotal colonial holding; and a constant source of tension during the Cold War—the modern State of Israel was born out of the horrors of the Holocaust, and the throes of British colonialism and acts of Jewish resistance that were considered terrorism in their day. The native Palestinians still endure the pain of unacknowledged displacement and ongoing Occupation, as well as abuse of power— and Israelis are subject to feeling surrounded by hostile neighbors, sudden acts of terror and denial of their own right to exist. Both sides live in the shadow of endless war, denialism, and Superpower machinations which have helped to foment world-wide religious conflict. Complicated by contradictory and intense essentialized beliefs about homeland and self-determination, right to return, the Palestinian need for acknowledgement of initial displacement, the Israeli need for acknowledgement of "right to exist"; fueled by deliberate Arab schoolbook misinformation about the Holocaust (and revisionist history on all sides); the pernicious influence on U.S. foreign policy by Christian End-Times proponents, and questions of how to have an authentic and just one-person-one vote democracy in a proclaimed Jewish State— and all this curdles within an Us-Them, Ingroup/Outgroup framework. These complex political, cultural and historical forces have brought continuing trauma, deep rage at injustice, and polarization to all parties. This is one of the most seemingly intractable problems in the world -- and this recent round of violence and brutality is adding more layers of despair, trauma and hate. It's easy to get cynical about it, that's there's nothing to be done to stop the cycle of violence and reverse generations of hate. But there are groups on both sides who are working to do just that. They recognize the damage that is being done emotionally and psychologically to themselves and their children and to the cultures they love. They are seeking to defuse the violence by taking the difficult steps of reaching out and putting themselves in the shoes of the "other." If we can ever overcome this conflict and truly heal the ghosts of the past, an enormous pressure valve can be released and the world community can focus on other urgent issues: addressing global environmental and economic crises; and investment in general human rights, sustainable development, health, and flourishing. Former enemies become friends and allies: US and Japan, Germany, Russia, China . . . Here are some papers and articles that will help you understand the roots and consequences of the Israeli-Palestinian conflict, including recent events. Countless people from dozens of organizations are dedicated to finding the way to lasting peace, r﻿econciliation, healing and dignity for all involved in the Middle East conflict. Below are examples of groups, projects, campaigns and stories of efforts that offer hope and a way to get involved to those of us working to overcome hate in our hearts and around the world. Just Vision is a nonprofit organization that informs local and international audiences about under-documented Palestinian and Israeli joint civilian efforts to resolve the conflict nonviolently. Just Vision brings the stories, life experiences and diverse perspectives of Palestinian and Israeli peacebuilders into classrooms and communities. For 2 years, the Just Vision crew followed the stories of ordinary people who feel driven to work for an end to bloodshed and occupation in favor of peace. We traveled from Tel Mond to Tulkarem, from Hebron to Haifa documenting the courageous, painful and moving stories of regular people who refuse to sit back as the conflict escalates. These civic leaders navigate suicide bombings and checkpoints to confront militancy on both sides, the wounded and apathetic masses. Encounter Point's World Premiere was at the 2006 Tribeca Film Festival. The Canadian premiere was at Hot Docs, and the West Coast premiere was at the San Francisco International Film Festival, where it won the Audience Award for Best Documentary. 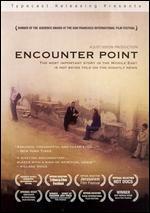 Encounter Point has subsequently won the 2006 Audience Award for Best Documentary at the Rencontres Film Festival in Montreal, the Best Musical Score Award at the Bend Film Festival and the 2006 Spirit of Freedom Award at the Bahamas Film Festival. It has screened in Dubai, Jerusalem, Jenin, Gaza, Ramallah, Amman, Sderot and more than 200 cities worldwide. It appeared on CBC in Canada as well as on Al Arabiya, one of the largest Arabic satellite stations in the world as well as on TV in Brazil, Poland, Korea, Australia and beyond. The World Security Network Foundation (WSN) is researching, developing and promoting universal and practical “Human Codes of Tolerance and Respect” for families, educators, religious leaders, journalists, and politicians – the five affinity groups who have most influence on promoting tolerance and respect towards other ethnic groups and religions. TYO is an American, non-governmental organization that works in disadvantaged areas of the Middle East. Over three years, a coalition of actors led by Meridian International developed a draft Palestinian Preschool Peace and Conflict Resolution Curriculum, based on evidence-based practices and developed training materials for teachers selected from those ECD sites and conducted training of the teachers. TYO was selected as a pilot location and over the course of three semesters Core Program teachers received tailored training and integrated this unique curriculum into their classrooms programming. Through the pilot program the coalition was able to further develop the age- and culturally-appropriate curriculum on Peace and Conflict Resolution to include a) modules on family involvement, community involvement, and health; and b) adapt the curriculum for children with disabilities. Going forward, TYO will continue to use the Palestinian Preschool Peace and Conflict Resolution Curriculum in its Core Program Classrooms. The U.S.-Islamic World Forum is designed to bring together leaders in the realms of politics, business, media, academia, and civil society from across the Islamic world (including Muslim communities in Africa, Asia, Europe, and the Middle East) and the United States. The forum seeks to serve as both a convening body and catalyst for positive action. Seeds of Peace began by bringing together 46 Israelis, Palestinians, and Egyptians in 1993. Now, two decades later, over 3,000 young leaders and several hundred educators from the Middle East have graduated from our International Camp, including delegates from Iraq, Jordan, Kuwait, Morocco, Qatar, Saudi Arabia, Tunisia, and Yemen. Seeds of Peace now works primarily with young Egyptian, Israeli, Jordanian, and Palestinian leaders. The program begins at our International Camp and continues with year-round local programs focused on the capacities leaders need most to be effective peace-builders. Seeds of Peace offers more targeted programs and advanced skills training as alumni move into their university years and begin their careers, leveraging their unique relationships, understanding, and skills to shift the landscape of conflict and peace in the Middle East. Thirty-nine new Palestinian and Israeli dialogue facilitators graduated on June 6 2014 from Seeds of Peace’s professional training courses. 3 minutes | The story shared by Israel and Palestine has been told in several stunning films, but I don't think I've ever seen it told like this. Nina Paley created this (extremely brief) animated history of the land that was at one time called Israel, Palestine, Canaan and the Levant. She even created this viewer's guide to make sense of what's happening. Abraham’s Vision is a non-profit organization based in Redwood City, CA that focuses on conflict transformation among Jewish, Muslim, Israeli, and Palestinian youth regarding the Palestinian/Israeli conflict. Abraham’s Vision was founded in 2003 with the intent of creating a safe, transformative space for exploring both group and individual identities of those directly affected by the Palestinian/Israeli conflict. Mariam Abuamer is 21, doesn't look like anybody around her, and wants out of Gaza. To cope with war, she has music. Vocal critic of Israeli policies says his rare status could serve a model for peace between Israel, PA.
50 reservists come forward about their opposition to the Israeli military apparatus, the war in Gaza and the conscription law. More than 150 Jewish Australians have signed an open letter urging their fellow Jews to “end the silence” over the “slaughter of innocents” in Gaza by Israel. The letter, organised by Vivienne Porzsolt of ‘Jews against the Occupation’, calls on all Australian Jews to take a public stand against the “brutal occupation of the Palestinians by Israel”, which is “being done in our name”. In a written statement accompanying the letter, Porzsolt said many Australian Jews were appalled by the actions of Israel. KCP- is a non-profit organization working successfully since 2004 in educating Israeli and Palestinian kids to live in Peace. Their mission is the strengthening of the human spirit that is within each and every child. KCP teach children to find their inner voices and make conscious decisions that will put an end to the circle of violence for themselves and for future generations. Through the KCP programs, kids and teenagers are successfully planting the seeds of tolerance and human dignity to achieve peace. There is nothing more powerful, for a child that was raised to hate his neighbor, than discovering that all children in spite of their language, background, culture and religion are first of all children, with feelings, desires, dreams and hopes. And see the possibility and ability of building a life and future together. Scores of Indonesians gather in central Jakarta, the country's capital, to light 1,000 candles in protest to the Israeli airstrikes in Gaza Strip. Indonesia is the world's most populous Muslim-majority nation. The lesson of the Holocaust should be "never again" for anyone, including Palestinians. “Right now in Gaza, every Palestinian is literally struggling to stay alive,” faith groups say. Helena Puig Larrauri on the development projects can use technology to promote peace in Israel, Palestine and other places caught in conflict. Great article on how technology can be used in peacebuilding. New research suggests that reappraisal may even be effective in changing people’s emotional responses in the context of one of the most intractable conflicts worldwide: the Israeli-Palestinian conflict. 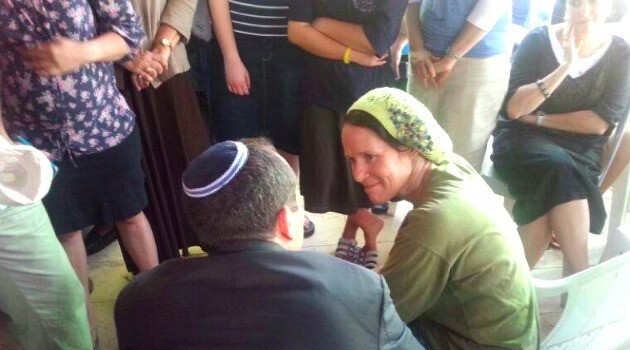 Empathizing w/ Gaza does NOT make me anti-Semitic, nor pro-Hamas or anti-Israel. It makes me human. The following organizations work in the field of peacebuilding and nonviolence within Israel, the Occupied Palestinian Territories, or both. We encourage you to do further research; there are many ways to support Israelis and Palestinians working for positive change. Please visit Just Vision's Visionaries for interviews with dozens of individuals working in many of the organizations listed below. Peace, democracy, civic education and conflict resolution for Jewish and Palestinian citizens of Israel. The first jointly run Palestinian-Israeli radio station. It produces news, feature and music programs in Arabic, Hebrew and English. A joint Palestinian-Israeli political advocacy organization and source for information on the Israeli-Palestinian conflict. An Israeli organization that supports Palestinians' nonviolent struggle against the Separation Barrier. A theatre company based in Jaffa, Israel, that produces and performs plays in Arabic and Hebrew. An environmental education and research center at Kibbutz Ketura in Israel’s Arava Desert. Students include Jordanians, Palestinians, Israelis, and North Americans. Works for reconciliation and tolerance, and headed by the founder and former director of the Parents Circle-Bereaved Families Forum. A group of Israeli and Palestinian artists and musicians organizing joint exhibitions aimed at promoting understanding. Works to protect human rights and civil rights in Israel and the territories under Israel's control. An Israeli feminist organization working for peace and social justice. A Palestinian organization working mostly with youth to assess the consequences of the Separation Barrier for Palestinian communities. Promotes peace, democracy, diversity and religious tolerance through activities and programs for locals and tourists. The center also displays Palestinian art and culture. A group of urban planners and architects working toward "strengthening the connection between human rights and spatial planning." Their work is focused within Israel and East Jerusalem. A website that presents Israeli and Palestinian viewpoints, primarily on the Palestinian-Israeli conflict and peace process. It is co-produced and edited by a Palestinian and an Israeli. An Israeli group of lesbians, gays, bisexuals, transgenders, and others working for social justice and against the occupation. A jointly managed and edited Israeli-Palestinian magazine devoted to public health and peace issues. An Israeli organization working to protect human rights and change Israeli policy in the Occupied Palestinian Territories. A summer camp in the US for Israeli, Palestinian and American young women to learn leadership and communication skills, promote peace, and women's empowerment. Building Bridges also runs follow-up programs for Israeli and Palestinian participants at home. Promotes environmental justice and sustainability with a focus primarily on land and human rights issues in Israel’s Negev desert. Promotes nonviolence in Palestinian society through training programs for individuals and organizations in conflict transformation, mediation, communication, peace and democracy building, and human rights. Its also brings together Israelis and Palestinians to discuss issues of violence in the region. Promotes economic cooperation and empowerment on the premise that "Jewish-Arab economic cooperation in Israel is essential for peace, prosperity and economic stability in Israel and the region at large." An Israeli organization working to "bridge the gaps between Israel's Jewish and Arab communities, and strive to implement systematic changes to improve the status of Israel's Arab citizens." An umbrella organization over nine Israeli women's organizations working for peace, equal rights for all Israeli citizens, an end to the occupation and the establishment of a Palestinian state. A group of Israeli and Palestinian former combatants working together to stop all forms of violence, end the occupation and establish a Palestinian state. A program that brings adolescent Palestinian and Israeli girls to New Mexico for a summer program that teaches leadership and communication skills and promotes reconciliation. Creativity for Peace also runs follow up programs for participants upon their return home. A Palestinian-Israeli-Jordanian youth magazine published in English. An Israeli organization aimed at supporting Israeli-Palestinian cooperation in the political, economic, and civil society spheres. A US-based program of religious study, leadership and peace-building program for Christian, Muslim, and Jewish teenagers from different conflict regions, including Israel and Palestine. A network of Palestinian, Israeli, and international faculty, with an affiliated international student network, working to end the occupation and create a just peace. An art and education program that promotes tolerance between Israel’s diverse communities. Provides mental health services, including therapy, training and research, to women, children, and victims of human rights violations. The program aims to promote community-wide mental health on the basis of "justice, humanity, and respect for human rights." Campaigns in Israeli and Palestinian society and globally in favor of returning to negotiations for a two-state solution. It follows the Geneva Accord's blueprint for peace. An Israeli legal organization working to protect Palestinians' freedom of movement. An institute in Israel that promotes equality for all Israeli citizens and peace between Israel and its Arab neighbors. An Israeli peace movement calling for the creation of a Palestinian state. An Israeli organization that assists Palestinians in the Occupied Palestinian Territories whose rights are violated by Israeli policies. An organization that founded and runs multi-cultural schools in Israel (in Jerusalem, the Galilee and Wadi Ara) where Jewish and Palestinian citizens of Israel are taught in Arabic and Hebrew. A US-based program that promotes "long term peaceful coexistence among Jewish-Israelis, Arab-Israelis, and West Bank Palestinians by bringing young people from the Middle East together with American teens in an interfaith setting." The Palestinian office of the People's Campaign for Peace and Democracy, an organization that promotes a set of principles for Israeli-Palestinian peace based on a two-state solution. Based in Qalqilya, the center provides training in conflict resolution and capacity building for Palestinian NGOs working in the field of nonviolence. It also arranges dialogues between Israeli and Palestinian adults and students in a variety of settings, including summers camps and conferences. An organization based in Bethlehem that promotes nonviolent resistance to the occupation and civil society building. A school in El Khader near Bethlehem for students aged 4-13 that focuses on peace and democracy education. A group "originally established to oppose and resist Israeli demolition of Palestinian houses in the Occupied Territories." Its activities now include resistance to land expropriation, settlement expansion, by-pass road construction, policies of closure and separation and the uprooting of Palestinian farmers' trees. Promotes peace through interfaith dialogue and cross-cultural study, based on the belief that "rather than being a cause of the problem, religion can and should be a source of the solution for conflicts that exist in the region and beyond." A Palestinian organization working to "develop proactive initiatives which support the social, cultural, political, and economic processes essential to a peaceful, democratic, and prosperous future for the Palestinian people." An international women's organization working in the village of Hares in the Occupied Palestinian Territories to support nonviolent resistance to the occupation and Separation Barrier and to document and intervene in human rights abuses. An umbrella organization over many inter-religious organizations working with Israelis and Palestinians to "harness the teachings and values of the three monotheistic religions and transform religion into a source of reconciliation and coexistence." An Israeli legal organization working for Palestinians' rights principally in and around Jerusalem. Promotes dialogue and interaction between Israeli and Palestinian scholars and scientists. The joint Palestinian-Israeli public policy think-tank, known as IPCRI. It is "devoted to developing practical solutions for the Israeli-Palestinian conflict" based on a "two states for two peoples" solution. A Palestinian organization for the advancement of women, peace and human rights. Organizes activities and dialogue groups for residents of East and West Jerusalem. A cultural and recreational community center that promotes interfaith and inter-group understanding. The building houses and Arab-Jewish kindergarten, and a theater, library, restaurant, hotel, fitness center and conference center. A joint venture of the Palestinian Jerusalem Center for Women and the Israeli organization Bat Shalom, its goals are securing peace and a Palestinian state, and promoting women's participation in the peace process. A network of Palestinian and Israeli interfaith peace-builders. Based in Jerusalem, Washington, DC and New York, Just Vision encourages broader participation in grassroots peace building by creating and disseminating media and educational resources about Palestinian and Israeli joint peace and nonviolent efforts. A non-profit organization that promotes cultural understanding and reconciliation between peoples, with an emphasis on youth and children. Kufia focuses on the psychological health of the Palestinian people and combats fanaticism in society. An online program whereby Israeli and Palestinian students make virtual connections through web-based communication in English. Visits villages in the West Bank to lend books to Palestinian children, provide school supplies, and put on puppet and video shows promoting cooperation and nonviolence. Also provides teachers and parents with literature promoting nonviolence and peace. A group of Israeli women who regularly observe Israeli military checkpoints to monitor human rights abuses. Palestinian organization promoting nonviolence and democracy. Conducts dialogue and silent, meditative walks in Israeli and Palestinian areas with Israeli and Palestinian participants. The activities "combine spirituality with peace activism." The Israeli office of the People's Campaign for Peace and Democracy, an organization that promotes a set of principles for Israeli-Palestinian peace based on a two-state solution. Works for youth, women and children's empowerment, and facilitates connections between Palestinian and international youth, and Israeli-Palestinian dialogue. Offers leadership training and support for small businesses and organizations in conflict resolution, education and democracy. A mixed village in Israel, "jointly established by Jewish and Palestinian Arab citizens of Israel, that is engaged in educational work for peace, equality and understanding between the two peoples." Houses the School for Peace, a facilitation training program in Israel. A movement to de-emphasize the military in Israeli society and prioritize a civilian as opposed to military profile of Israeli citizens. A program in which Israeli and Palestinian cardiology students study medicine together. Provides humanitarian aid for Palestinians, including transportation and translation for Palestinians needing treatment in Israeli hospitals. A grassroots movement to involve Israelis and Palestinians as active participants in a peace process. A center primarily dedicated to coexistence between the Jewish and Palestinian residents of Ramle in Israel. A religious Jewish, Zionist peace movement advocating the establishment of a Palestinian state and equal rights for Palestinian citizens of Israel. Develops peace education material in Arabic, and engages in mediation and conflict resolution between Palestinians and Israelis. Promotes civic engagement through community service, action for peace, justice, and reconciliation, and advocacy for Palestinian rights. Documents human rights violations committed against Palestinians in the West Bank, Gaza Strip and East Jerusalem, including those committed both by Israel and by the Palestinian Authority. 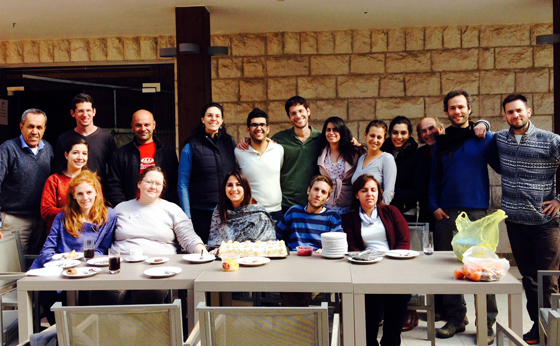 A Palestinian organization based in Jerusalem working to strengthen civil society. A joint organization of Israeli and Palestinian bereaved families working together for reconciliation and an end to violence. Works within Palestinian society to promote peace, democracy and nonviolence in the political, social, and economic realms, and to encourage support for a negotiated end the Israeli-Palestinian conflict. Promotes coexistence for Israeli and Palestinian youth through theater and the arts. Israeli peace movement, whose activities include organizing public demonstrations, petitions and events, and distributing educational materials. Visit Americans for Peace Now for more information. Palestinian and Israeli educators and academics promoting peace-building through research and education, and developing educational resources for teaching Israeli and Palestinian narratives. An initiative of Mifkad and Hashd in which people on both sides of the conflict sign on to a statement of principles based on a two-state solution. An initiative that channels funding to grassroots peace initiatives between Israelis and Palestinians, as well as providing some infrastructural support. An umbrella organization that provides support for a variety of Israeli-Palestinian peace initiatives. Visit the Peace NGOs website for these initiatives. Works for human rights particularly relating to health issues in Israel and the Occupied Palestinian Territories. Monitors and raises awareness about the use of torture in interrogations in Israel and the Palestinian Authority. An Israeli rabbinic organization "giving voice to the Jewish tradition of human rights" and working for human rights of all Israeli citizens and for Palestinians in the Occupied Palestinian Territories. A Palestinian and Jewish youth movement within Israel. A US-based program for teenagers from several conflict regions throughout the world, with follow up programs for Israeli and Palestinian participants in their home areas. An initiative of the New Israel Fund established in 1982 to strengthen civil society and to promote democracy, tolerance and social justice in Israel. A gathering of Israelis and Palestinians to promote reconciliation, named for the traditional Palestinian dispute resolution ceremony of sulha. A "grassroots movement of Arabs and Jews" in Israel working for equality for all Israeli citizens and with Palestinians in the Occupied Palestinian Territories to resist the occupation. An umbrella organization over many Palestinian nonviolence initiatives. Works within Palestinian society to resolve conflicts and disputes nonviolently using sulha, a traditional reconciliation practice, combined with western forms of conflict resolution. Brings Palestinians and Israelis together with special groups for women and youth. Windows' youth publish a bilingual magazine in Hebrew and Arabic. Windows also engages in humanitarian aid work. A network of women protesting Israel's occupation of the Palestinian Territories. An Israeli organization that opposes the violation of Palestinian human rights in the Occupied Palestinian Territories. An Israeli peace group supporting soldiers who refuse to participate in the Occupation. An empowerment program aimed at supporting young Israeli leaders who seek to "take an active role in shaping Israel's future and, specifically, its relations with its Palestinian and European neighbors." An Israeli group raising awareness about the Palestinian Nakba, or catastrophe, of 1948.